How to keep your hot pot from exploding with high calories is in Oden. This Japanese winter stew is not only low in calories but gets you full with less bites. The Japanese stew Oden comes in many shapes and sizes filled with an assortment of ingredients bringing variety to your meal. What you may not know is that oden can be done reducing calories to your hot pot. The last Japanese assorted stew pot that your diet needs. What is Japanese oden? Is it good for helping me lose weight? Oden is a traditional Japanese stew eaten during the winter months. You will want to eat warm in cold weather to keep you core temperature from slowing down your metabolism. Easy to make soup that was simply boiled in salted, Oden has sold in convenience stores in Japan is they actually become a strong ally of the diet. In today's Slism, we will introduce Japanese hot pot Oden as good way to reduce calories in your diet presenting list of common Oden ingredients and their calories along with going into brief discussion of precautionary areas of going on a full Oden diet. Daikon (Japanese radish) and Konjac (Konyaku), and fish paste that is used in the ingredients of Oden has become very low in calories. You can enjoy a sense of fullness even small amounts includes many further moisture. 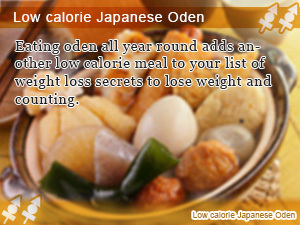 Calorie intake itself can be reduced to a lower one for low calories per eating too much even if Oden. That is the mechanism of diet Oden. Here's a table showing just how low in calories Oden Japanese winter stew is. The amount that you eat one time kept to about two or three would be better. No longer receive the benefits of becoming much more than that if you eat three 300kcal more than 100kcal, for example eating Oden. You will eat a lot low calories even if you eat low calorie and Konjac winding kelp, such as Daikon and vice versa. When you are hungry eat a cup of these things, do not eat too much time may change the contents of the meal will go on a case-by-case basis, such as selected to be a little higher in calories. While those low-calorie diet is suitable for many vitamins Oden is insufficient alone Oden. There is a need to take vitamins together rather than just eat Oden there. So to be combined with easy-to-eat oden, drink vegetable juice and soy milk, the green juice to make it easy for others to talk about that I would be good together. Try to choose the high-vitamin if you drink vegetable juice with Oden because there is a difference in the nutrients that are contained in the material things you have. There is a point to note about calorie intake is not limited to talking about diet Oden. It is that calorie intake does not become less than basal metabolism. Become less calorie intake and basal metabolism are eating only low-calorie ones all three meals Oden, extremely because there are many low-calorie Oden. 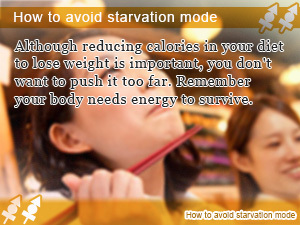 And become starved when calorie intake becomes less basal metabolism, the body will try to absorb more than usual, such as calories from food and nutrition to maintain life activities. If the above meal is always carried out when it changes into this state, rather than usually, many nutrition and calories will be absorbed and it will be connected to rebound. Function you are trying to consume less calories dropped the muscle that you are not using nutritional intake is not enough out because further. I will get fat constitutionally predisposed to basal metabolism may somewhat decrease the muscle and falls. The body attempts to reduce the calories we consume with increasing the absorption efficiency in order to maintain the life and activities have decreased calorie intake. It does not make sense if you're about to rebound even if the diet falls much trouble. Consider one of the diets or you can manage the calorie intake. You don’t have to quit as long as you have Wagashi. Find out how Japanese traditional confectionary sweets have it all. Low calories with only a fraction of the fat. The road where counting calories and boost metabolism meet in diet tips to master daily calories to lose weight make that the last time you itemized your calories. Increase muscle mass and you boost metabolism. That means that your burn more calories, which is especially important when looking to lose weight and keep it off. Eating oden all year round adds another low calorie meal to your list of weight loss secrets to lose weight and counting. Staying bellow your means is easy with oden because all you have to do is choose from a list of ingredients already low in calories to get stewing. 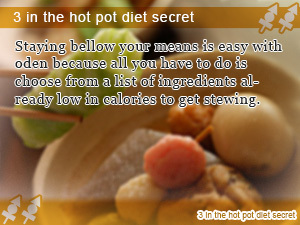 Although reducing calories in your diet to lose weight is important, you don't want to push it too far. Remember your body needs energy to survive.